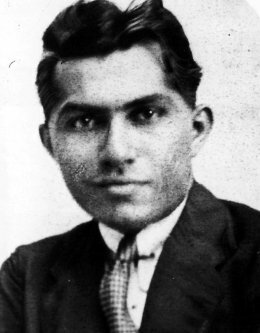 On this date in 1936, Buktyar Rustomji Ratanji Hakim, also known as Buck Ruxton, was hanged in Strangeways Prison for the murder of his common-law wife, Isabella, and their maid, Mary Jane Rogerson. A general practitioner of Persian descent, Ruxton was born in India and moved to the United Kingdom in 1930 to set up practice in Lancaster. He met a married Englishwoman, Isabella Van Ess, and took up with her after her divorce. Although they never legally married and Ruxton actually already had a wife he’d left behind in India, they lived as man and wife and had three children, and she took his last name. Ruxton had a reputation as a good doctor and a compassionate one who waived his fees for indigent. He wasn’t nearly as good a husband as he was a physician, however: he was extremely jealous of his charming, sociable wife and continually accused her of infidelity with little actual evidence of it. The neighbors overheard violent arguments, and Isabella would occasionally take the children and leave, seeking refuge at her sister’s home. At one point she reported her husband to the police for domestic violence, but they paid little attention to her complaints. In an effort to hinder identification, Ruxton removed the victims’ teeth and skinned their faces. This turned out to be too clever by half: once the bodies were found in late September, the precision of the cuts told authorities that the killer was someone with anatomical knowledge and surgical skill, which narrowed the suspect pool considerably. This filter, combined with the realization that one of the newspapers Ruxton used to wrap up some dismembered bit was a special edition copy sold only in Lancaster and Morecambe, led the cops to Ruxton and not many others. It wasn’t long before the pieces — sorry — fell into place. 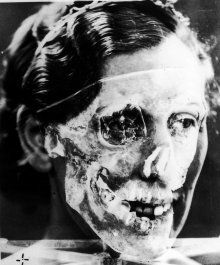 Meanwhile, exciting new forensic techniques, helped firm up identification of the corpses: authorities superimposed a photograph of Isabella over one of the skulls and found a dramatically jury-friendly visible match. Isabella Ruxton, in life and death. Forensic entomology (in this case, the gross but useful technique of checking the age of the maggots infesting the corpses) helped pinpoint the date of death. Ruxton was arrested on October 13, nearly a month after the double murder. 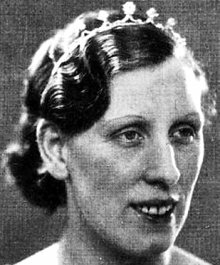 The Ruxtons’ charlady told the police that on the day Isabella and the maid disappeared, Ruxton came to her house early and told her not to come in to work. The next day, when she arrived at the Ruxtons’ house, she found it in a state of disarray with the carpets removed and a pile of burnt material in the backyard. A neighbor couple also had helpful recollections: Ruxton had persuaded them to come and help out at his house, saying he’d cut his hand while opening a can of peaches and he needed to clean up quickly because decorators were coming over. They scrubbed his walls and he gave them some bloodstained carpets and clothing. Given all this evidence, there was little Ruxton’s defense attorney could say for him. The defense tried to challenge the identification of the bodies, but the superimposed skull picture was quite convincing. 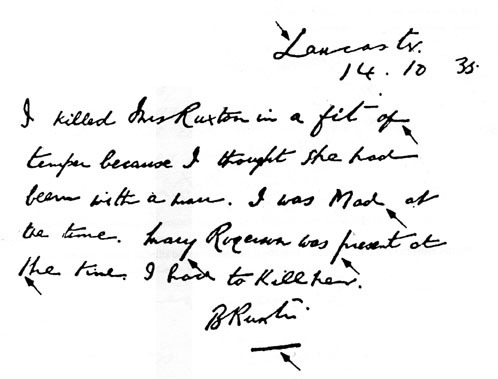 Ruxton admitted his guilt prior to his execution and signed a short confession. He was hanged in spite of a petition with 10,000 signatures asking for mercy. The Ruxton case, a smashing tabloid hit in its day, has been the subject of its own book, T.F. 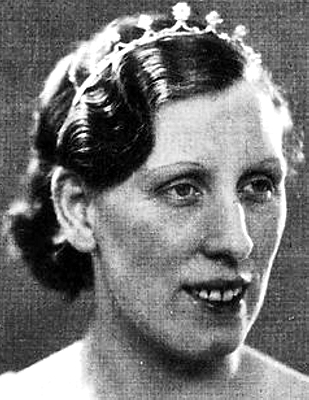 Potter’s The Deadly Dr. Ruxton: How They Caught a Lancashire Double Killer. It’s also featured in many general true crime books, including Colin Wilson and Damon Wilson’s Crimes of Passion: The Thin Line Between Love and Hate, Colin Evans’s The Casebook of Forensic Detection: How Science Solved 100 of the World’s Most Baffling Crimes, and Harold Schechter’s A to Z Encyclopedia of Serial Killers.